Standard Size 1960 Curt Teich Chrome Postcard in Good, Unused Condition. 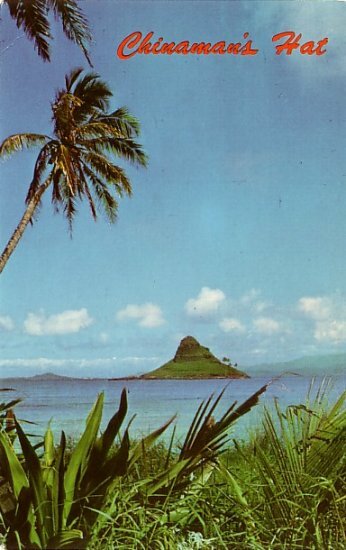 This Curteichcolor post card was distributed by Lesco, Ltd., of Honolulu, Hawaii. Chinaman's Hat, a tiny island off Oahu's windward coast, so called because of resemblance to a hat worn by early Chinese immigrants to Hawaii.